This world-class grill, situated at the Suncoast Casino, is one fine eatery to enjoy along Durban’s Golden Mile. It overlooks the popular Suncoast Beach, boasting 180-degree views, which extend from the Bluff to Umhlanga Rocks. Not only do they offer an interesting menu, but they also boast an extensive wine list, featuring some top South African wines… Because, at Havana Grill, quality is assured on all fronts. Address: Havana Grill, Suncoast Casino, North Beach, Durban, KZN, South Africa. 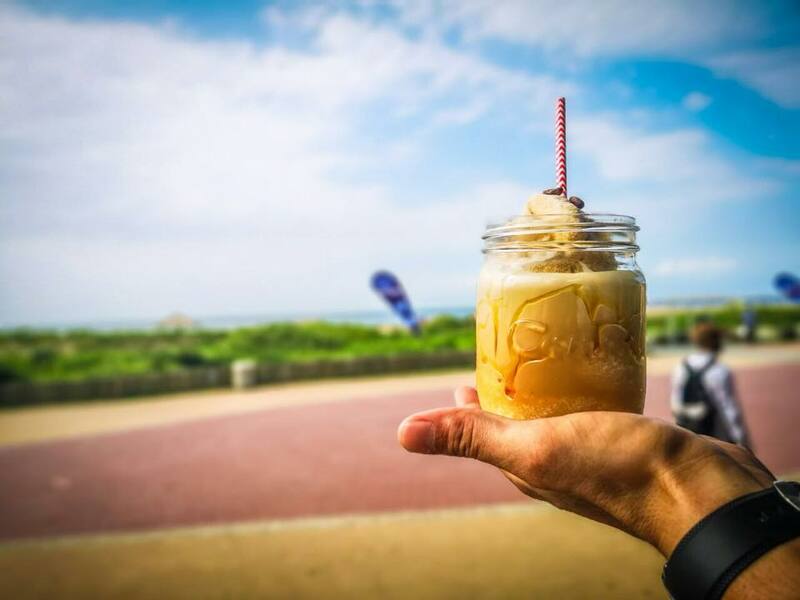 If you are looking for a relaxed, fun place to enjoy – and we quote – ‘just good chow’, then Surf Riders Cafe is the place to go for this… and more! Situated on the Golden Mile, this beach-side cafe is a favourite for breakfasts by the beach, mouth-watering lunches and great drinks, which even include an award-winning wine list! At Surf Riders Cafe, service is friendly and laid-back, helping to put you at ease and allow you to enjoy the cheerful cafe and all its offerings. Address: Surf Riders Cafe, 17 Erskine Terrace, South Beach, Durban, KZN, South Africa. Found at the glamorous and oh-so-elegant Oyster Box Hotel, this beautiful restaurant is like something out of a dream… And while it is a little further on from the Durban Beachfront, it is certainly worth the journey! With sweeping views across the warm Indian Ocean and truly stunning decor, The Ocean Terrace always ensures a memorable meal, whatever the occasion. Serving up a bistro-style menu, this restaurant is perfect for special celebrations, family meals and al fresco dining. There is something for every palate to savour, from freshly baked pizzas to fish and chips or even some excellent seafood! Other standouts include the popular Curry Buffet – which will tempt true Durbanites and new visitors alike with its sinfully good eats – and tantalising sundowners! Address: The Ocean Terrace, Oyster Box Hotel, 2 Lighthouse Road, Umhlanga, KZN, South Africa. Beach Bums might require a bit of a drive but it’s definitely worth it! And, because it’s something of a Durban favourite, it is a great place to visit. 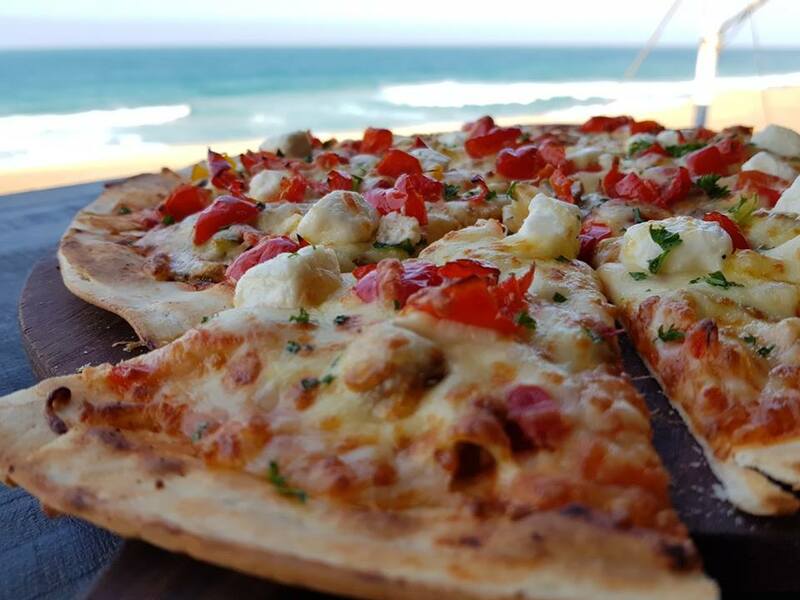 Forever chilled (since 1997), this restaurant and events venue is found on the shores of Casaurina Beach, and offers wonderful indoor and outdoor seating options alike. For those craving both sand and sun, Beach Bums is the perfect place – and the meals are suitable for the whole family, meaning no one leaves without a full and contented tummy! Address: Beach Bums, 65 Casuarina Beach Drive, Tongaat, KZN, South Africa. This restaurant, martini bar and nightclub is synonymous with stylish nights, delicious food and a host of cocktail delights. Here, prestige and opulence come together perfectly, but Cafe Vacca Matta still provides guests with a casual ambiance despite this. It offers a choice between either fine dining or al fresco menus, and this Mediterranean-style restaurant can seat up to 120 people. This makes it ideal for functions and special events, no matter whether they are of a personal or corporate nature. Note: Restaurant and club times are 8 till late. Address: Cafe Vacca Matta, 153 Florida Road, Durban, KZN, South Africa. Situated within the fun Ushaka Marine World, Cargo Hold is an entrancing dining affair on all accounts! Dine with the sharks in one of Durban’s most refined and spectacular settings, which lies hidden away in the stern of the Phantom Ship. And, not only is it elegant but it’s fun too – perhaps best of all though, Cargo Hold offers a great selection of culinary adventures for you to dive right into! They span from countries across the globe, providing a hint of spiciness, exoticism or fruitiness! 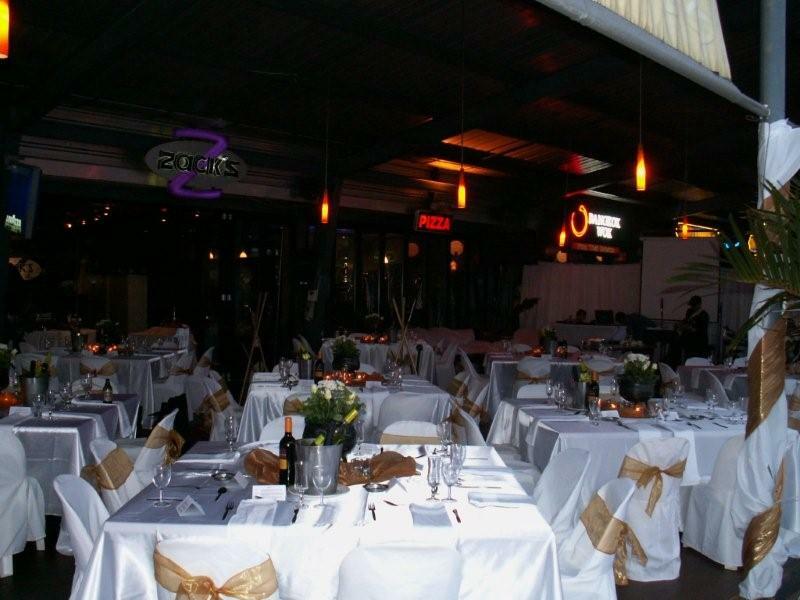 In addition to its normal dining options, Cargo Hold is also perfect for corporate affairs or year-end functions. Please note: Children under 12 are not permitted for dinner, except on Mondays – and the dress code is smart-casual, with preferably no open shoes for the gentleman. Address: Cargo Hold, Ushaka Marine World, 1 King Shaka Avenue, Point, Durban, KZN, South Africa. Wodka is a stylish offering and one which is complete with edgy urban decor and oh-so-palatable dishes. These factors combine to make this eatery at The aha Waterfront Hotel & Spa a worthy candidate for fine dining experiences in Durban. This restaurant and bar overflows with vibrant urban energy, even as it provides guests with a choice between stunning indoor or outdoor spaces to choose from. It’s perfect for year-round dining and is especially popular for after-work drinks… So be sure to give it a try! Address: Wodka, The aha Waterfront Hotel & Spa, 40 Mahatma Gandhi Road, Durban, KZN, South Africa. Yet another Oyster Box offering, The Grill Room, has been a local institution of note for over 70 years… So, with this restaurant, you know it’s the real deal. The menu incorporates a variety of classic favourites – thought up by Bea Tollman and brought to life by executive chef, Kevin Joseph – as well as a selection of contemporary creations and signature dishes, which are carefully inspired by global food trends. Join them for a touch of class and food history in Durban. Address: The Grill Room, Oyster Box Hotel, 2 Lighthouse Road, Umhlanga, KZN, South Africa. Cafe Jiran is for the coffee lovers among us… that’s for certain! Situated across from the breezy Durban Promenade, this spacious, tasteful cafe is great for coffee connoisseurs or foodies with a discerning palate. The menu offers a good choice of options, but choosing a few from them might just be the hardest decision of your day. Still, it will be worth it for whatever you do settle on! They have everything from nibbles to proper meals and desserts, so whether you’re a health-conscious eater or a true gourmand, there is something here to tickle everyone’s taste buds. Address: Cafe Jiran, North Beach, Durban Beach Front, Durban, KZN, South Africa. This independent cafe, which first opened in 2001, is a true South African-style cafe… Open seven days a week, from 8 till late, Zack’s prides itself on its flexibility and the ability to cater to every taste out there. Meanwhile, their colourful, but deadly, cocktail menu keeps their loyal fan base returning for more! And music forms an integral part of life at Zack’s, particularly as they support local musicians, giving them a stage to perform on. Address: Shop 23, Wilsons Wharf, 14 Boatmans Road, Durban, KZN, South Africa. 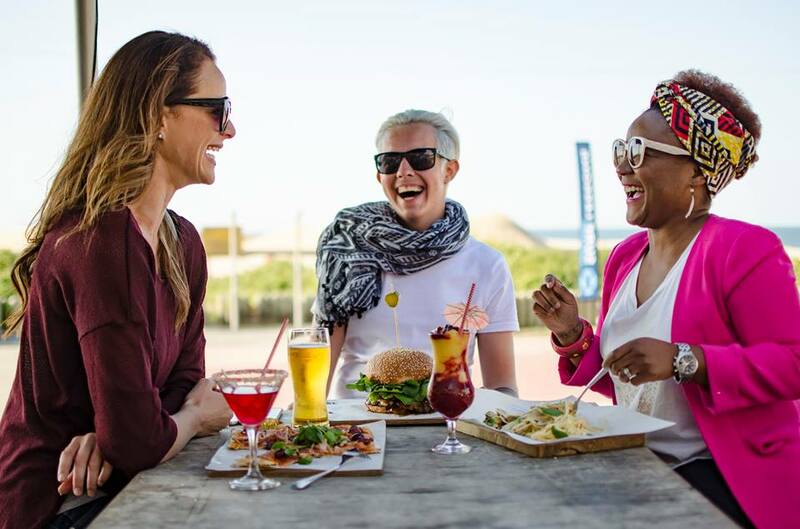 These are some of the best eateries in and around Durban’s beautiful Beachfront – and they are just waiting for you! Previous Previous post: Top 10 activities in Sea Point.